Ha! There is Baron Karza on the box!! 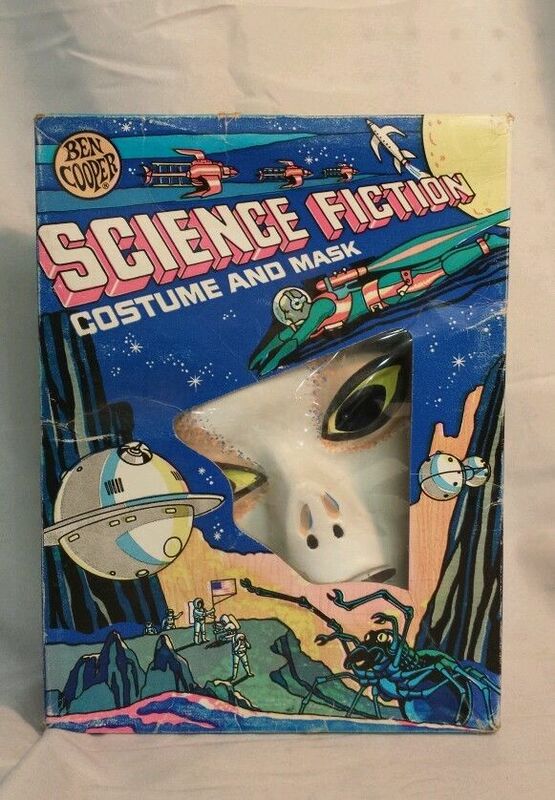 For years I had a vague memory of seeing this costume at the dime store back in the late ’70s. 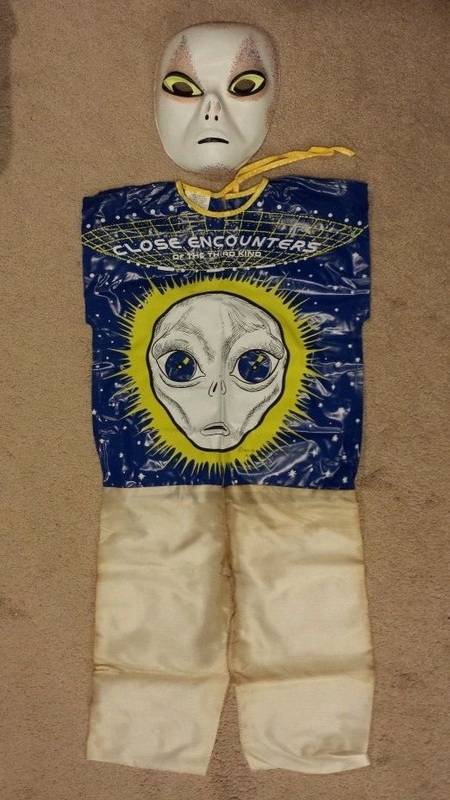 Then finally the Internet made it possible to verify that there indeed was a Close Encounters Halloween costume and my memory wasn’t playing tricks on me. 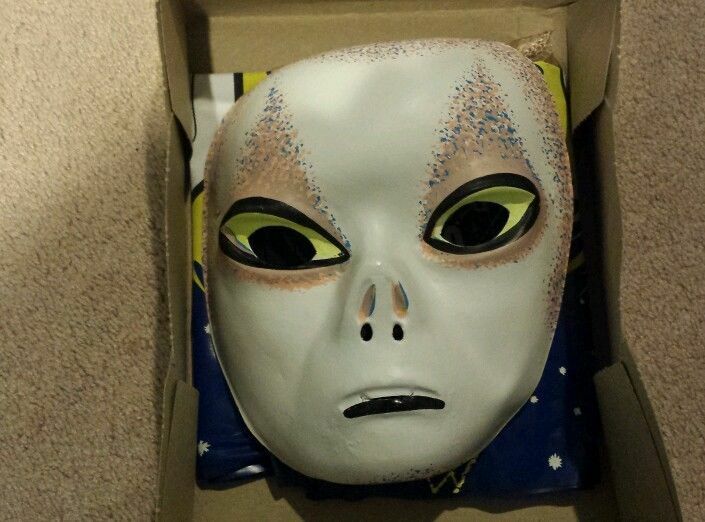 Now take a look at the Alien costume from the R-rated movie of the same name. Another classic. 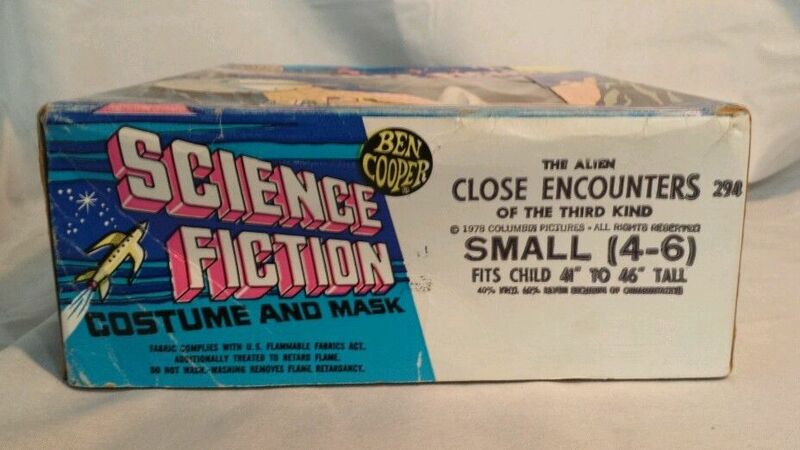 I think a lot of companies (Ben Cooper, Kenner, Topps, etc.) 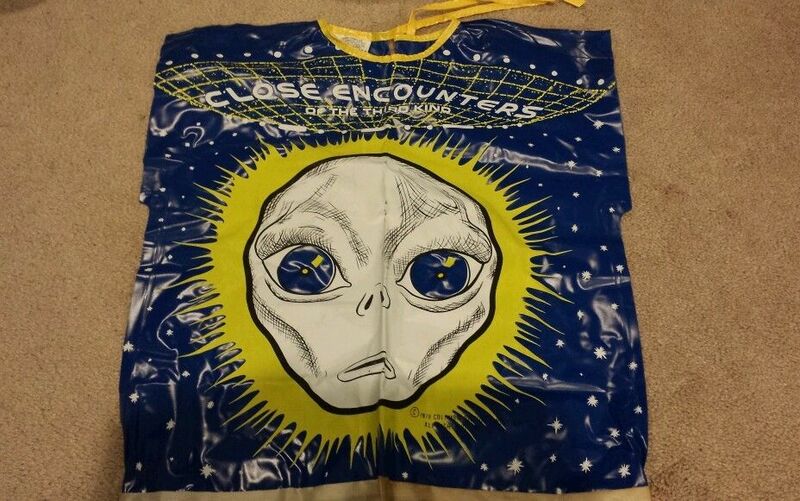 obtained the license to produce kid-related tie-in merchandise for Alien before knowing the film would be R-rated, expecting another Star Wars. 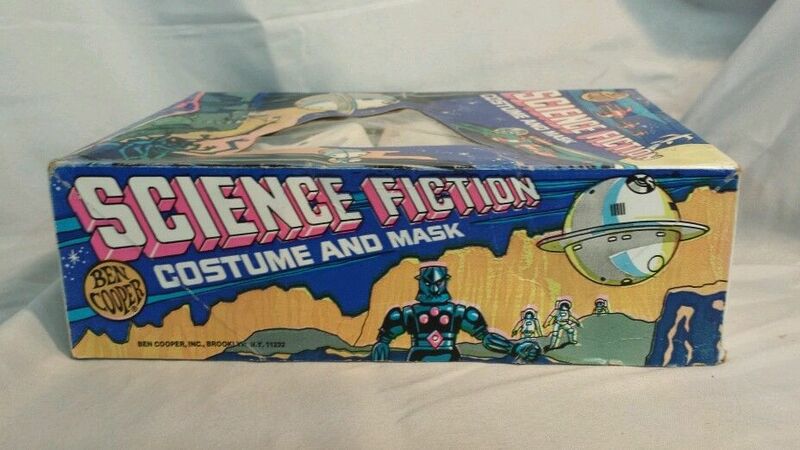 Then they wound up with a property that was totally not intended for children.